People often ask me how we’ve done it. We barged into a crowded market with a generic product. We didn’t have any brand. We didn’t spend oodles of money on advertising, coupons, and promotions, like our competitors were doing. And while usually in our industry others go out of business in six months or a year, we saw profit in the second month. A year and a half later, we are still in business—and expanding. In this post, I’ll tell you how to market a restaurant without marketing it or at least how we did it—and how you can probably do the same in your niche. We couldn’t have found a place to start our business that would have offered more challenges. Oxford, MS is a small college town that isn’t short on options when it comes to dining. Not an easy place for starting a pizza shop. One magazine named Oxford one of the 15 southern cities all food lovers should visit. Another included Oxford’s Saint Leo restaurant in their top 50 best new restaurants in America. Even Vogue published a guide to Oxford, saying that it’s “charming” and its chefs are “innovative.” There are shy of two hundred restaurants serving only 20,000 citizens plus around 20,000 students and college people. 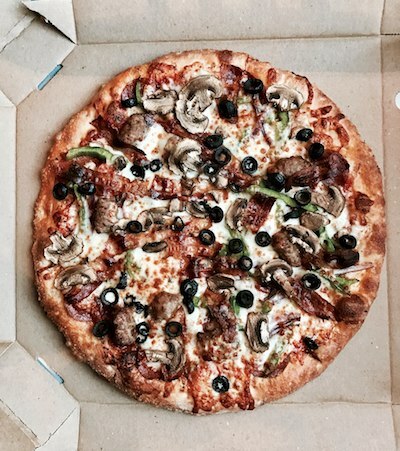 In our niche—the pizza business—we saw as much competition as you can imagine. All the major players—Little Caesar’s, Domino’s, Papa John’s, Pizza Hut—had been there long before we came. Being national brands enjoying the benefits of national advertising, their local branches invested ample resources in sales and promotions cramming Oxonians’ mailboxes with their coupons. That’s their primary marketing strategy. With an entirely new brand, we had zero chance in getting even a recognition gift in this game should we choose to take part in it (and nobody’s saying we had money for that). Sometimes, the location saves you. But not in our case. In Oxford, there is only one location that drives sales—the Square. And being downtown, our small pizzeria is still not on the Square itself. Usually, it takes from six months to a year for a restaurant to reach a break-even point (when your sales equal or exceed your losses). We saw our first profit in two months. In 2016, the average monthly sales of our pretty small pizza shop were around $36,000, and our average profit was around $3,721 EBITDA (check out our Dodo Pizza Oxford overview presenting a detailed report with real pizzeria profits). Not bad for the first year. Since our grand opening, we had only three months in the red. In February, we saw $9,162 in profits. In July, we saw a $1,714 profit, despite the low season in Oxford (the city is basically deserted without college kids). The thing that drives many people crazy is the fact that Dodo Pizza didn’t do any traditional restaurant promotion. No local radio ads. No coupons. No bargains and enticing deals (“order five pizzas and get a truck of pizzas for free”)… Nothing! So, how can you market a restaurant without heavily investing in its promotion? Superior product quality. It was the main reason we haven’t gone straight to the dogs. Somehow, we managed to make a better pizza for delivery. I know what you’re thinking: Everybody says that their product is super-duper, but actually making a better product is an insane task, especially if you penetrate a mature market. How can you expect to excel over others who have more experience and money? It can’t be a reliable marketing strategy for a restaurant. You think you’re smarter than others, huh? The truth is that it’s all about the goals people set. No matter what they say, your competitors might have other things on their minds than quality. Short-term shareholder profits. Expanding the business into other states or even countries. Or just getting home earlier to binge-watch the last season of Game of Thrones. So there aren’t always that many people trying to excel in quality for real. 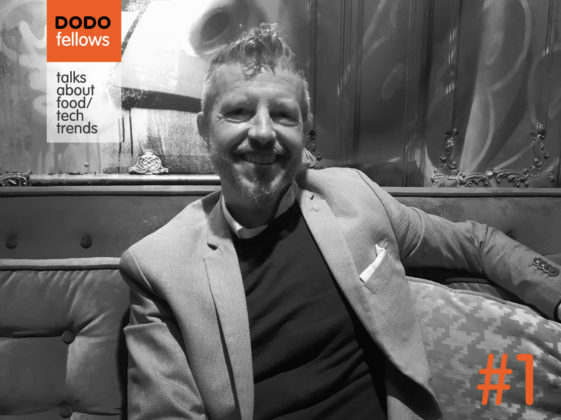 While preparing for the launch of Dodo Pizza Oxford, we ventured on a quest for top-notch ingredients. Pizza sauce made from fresh tomatoes (not some concentrate filled with preservatives). Whole milk mozzarella. Sausages made from beef and pork. Things of that nature. It took us some time to figure out how to keep our food cost moderate. And choosing between more options on our menu (and potentially more sales) and quality, we opted for the latter and composed our menu of just seven of the most popular pizzas at the beginning. And it worked! The results we got turned out much better than our business plan predicted. One important remark: when I say superior quality, this doesn’t mean only the pizza itself. We also worked our faces off to provide the best service—for instance, delivering faster than anybody in town. Offering a 100% money back guarantee to all unhappy customers served the same purpose. So, how do you market a restaurant that offers a superior product? They say a good product sells itself, and partly, that’s true. We’ve gotten a great deal of business (big catering orders) just because people loved our pizza. That’s also the very reason why Dodo Pizza now has a sales point on campus—quality trumps brands. 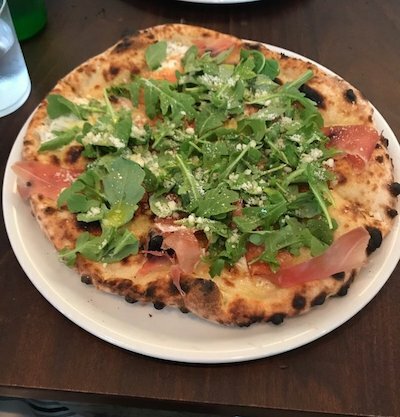 Many customers just google pizza in Oxford, see us on Yelp, and since its users have rated us as the best pizza delivery in town, decide to give us a try. Still, you have to let people know about you somehow. Instead of following in line with our competitors and investing hugely in coupons or traditional ads, we used just one channel of communication: Facebook. 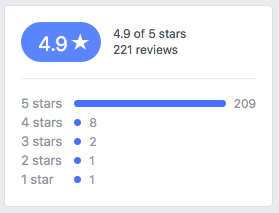 We doled out 500 pizza for free and built a strong profile with real reviews (in this case, having a good product helps to market your restaurant a lot). We explained what we stand for. Told our story without playing our readers for fools. By spending around $100–200 a month promoting our posts, we eventually gathered an audience that happened to be large enough to spread the word about the new pizza place in town. For the first few months, we didn’t have a phone line. So for our customers, Facebook was the only way to get in touch with us. Since then, we never stopped rigorously answering any comment or message we got. You have all the reason in the world to say that my so-called “secret” marketing strategy for a restaurant is so banal that it makes your tooth ache. Yet it works—and way too many entrepreneurs, individual operators especially, don’t really believe that quality and excellent service can make a difference, and they don’t use Facebook, the most obvious form of communication with their customers in this day and age. Don’t get me wrong: I’m not saying that our product is always perfect and we never screw up. And I’m not a business freak arguing that traditional marketing has to be dumped forever and everybody has to crank out posts on Facebook like crazy. Actually, now we’re starting to experiment with more traditional ways of promotion, trying to push our sales even further. I just believe that in many cases a superior product and Facebook is all you need to succeed in the 21st century—or at least to survive when others fail. In my next few posts, I’ll explain in more detail the whole system we’ve built at our restaurant to effectively manage our online activities. Join our newsletter or follow our business page on Facebook not to miss an update.